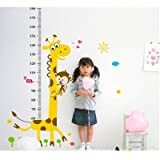 In India, the Baby Growth Charts for Indian Children are either not followed in the initial stages or the WHO growth chart for boys and girls is often referred to. Indian children are different and so is their growth velocity. The WHO chart does the work for the children in western countries. IAP i.e. Indian Pediatric Academy provides an updated height chart and weight chart for Indian boys and girls. The chart can be referred to considering the Indian lifestyle, nutrition type, parental care and environment. Below is the useful age-wise weight chart & height chart for boys and girls made from data by WHO and IAP. The chart can help the Indian parents contribute positively to their children’s growth. Below charts are made with sole purpose of making the growth charts easy for new parents in India. Why to Refer only IAP Height and Weight Charts for Babies in India? The weight and height growth of Indian babies is different from the rest of the world due to various factors like genetics, diet, lifestyle, health conditions, physical activities and environment. Most of the Indian parents want their children’s growth and development to keep pace with their neighbor’s kids or the kids of the same age. Indian pediatricians recommend the parents to follow the IAP approved height weight chart for boys and girls in India. And, the sudden decrease in the growth rate can signify any health condition or poor lifestyle or nutrition of the baby. The growth to some extent can be boosted taking care of the nutrition, everyday activities and other factors. It’s not necessary that every child will grow according to the Height and Weight chart for Indian Boys and Girls. The growth rate depends on the weight and height of the child during the time of his birth and several other reasons. However, if the growth is not proportionate after a long span of time, consulting a doctor becomes necessary. In line with the precious study by Dr. Vaman Khadilkar, Governing council member of Pediatric & Adolescent Endocrinology chapter of Indian Academy of Pediatrics, many facts and myths have been decoded related to the children’s growth in India and Growth Hormone treatment in India. Dr. Khadilkar is a consultant pediatric Endocrinologist in Pune and the prime approver of the Growth charts of Indian Academy of Pediatrics (IAP). Below are some common questions that whirl in the mind of every Indian parent with a child suffering from an abnormal growth. Does Parents’ Height Only Decide the Kid’s Height? Though genetics is an important factor influencing a kid’s height; parents’ height not always decides the kid’s height. In many cases, one or some of the family members have poor physical growth which affects the height of the progeny height. Alteration in the diet, exercises, treatments and therapies and introduction of growth hormone can improve the growth. What is a Normal Growth? The growth and division of the cells in the human body boosts the growth of weight and height normally. Factors like nutrition, environment, physical activities and genetics influence this normal growth. Can I Diagnose My Child’s Insufficient Height by Myself? There are many parameters for self-diagnosis of short stature or insufficient physical growth. If your child’s growth is less the 6 cm every year till 4 year-age or less than 5 cm per year for 4-8 years or less than 4 cm every year before hitting the puberty then your child may be suffering from insufficient growth condition and lacking the normal level of growth hormone in the body. Sometimes, the self-diagnosis is not true and an abrupt growth is noticed after a certain age and hence consulting a doctor can be the best option. What are the Major Elements Affecting My Child’s Height? Are There Any Effective Exercises to Boost My Child’s Growth? Exercises boost the blood circulation in the body and hence encourage growth. Physical activities always influence the growth hormone but no exercise guarantee a revved-up growth. What are the Tests and Check-ups Suggested After the Short Stature Diagnosis? A pediatric endocrinologist always asks for the growth velocity of a child before confirming his growth hormone deficiency or abnormal stature. From 0 to 18 year age, the height of a person changes every year but the growth velocity of the child decides his normal or abnormal growth. The above-mentioned tests are Biochemical tests and a pediatric endocrinologist may prescribe some of them or few other tests before diagnosing short stature of a child. There are some medical and hormone tests as well prescribed before the diagnosis. Apart from these tests, the doctor may ask the medical history of the child, Bone age for bone maturation measurement and the general characteristics related to his physical appearance like arm length, leg, weight, height, head circumference etc. Growth hormone detection and stimulation tests are also needed in many cases. What are the Uses and Benefits of Growth Hormones? HGH or Human Growth Hormone is a protein hormone originating from pituitary gland. It is also called Somatotropin. This hormone is responsible for a proportionate physical structure and a balanced metabolism. This hormone is released in the bloodstream to maintain the level of the blood glucose in the body. Normal physical growth is not the boon which everyone can leverage. The external GH is now produced using the nouveau recombinant DNA technology to control the growth in children and adults. What if My Baby/Child is underweight? Other than genetics or some health issues, if your child is underweight you must consult a baby’s doctor. Usually, the foods, diet schedule, physical activities, mental state has effects on child’s weight growth. Does Immunity Have Effect on Growth? If your child’s immunity is very weak it could be due to lack of nutritional diet, less physical activities or some health condition. To some extent, weak immunity power can affect the growth of a child. Read: How to Improve Immunity in Children? What are the Major Developmental Stages of a Baby? The first stage of baby’s development is between one to three months. During this stage, your baby learns various things and understands about the convenient postures while sleeping or lying on his tummy. The second stage is between 4 to 6 months. Baby will explore his own voice and learn the functions of his tiny hands and fingers. He will try to sit and hold objects during this phase. The third stage can be put between 7 to 9 months when he starts crawling and doesn’t need support for sitting. He also responds to many words during this phase. The fourth stage can be ranged between 10 to 12 months when is he all set to eat all types of solid foods and he just turned into a toddler. Please note every baby is unique and follows own milestones. So don’t worry if your child is not showing about mentioned developments in given time frames. How to Know if a Baby is Experiencing Slow Weight Gain? There is a big misconception regarding the healthy and unhealthy physique of the children in India. The Indian parents often want to see their children with a chubby body and consider it a healthy physique which is not the reality. Parents don’t consider the Growth Charts for Indian children in the initial stages and let their children grow chubby. The above chart and facts can give the right dimension and direction to an Indian baby’s growth and development. Great Information. The graphs are difficult to read the IAP graphs are very easy to check . These direct figures mentioned in table format is easy for parents. Good efforts. My baby is 03 months old and looks very short. I have gone through the height charts for indian babies but what does it mean when doctor says follow the weight and height chart? Following the weight or height chart means just to check the regular development of baby and checking if the baby’s height and weight is in given (IAP certified) range. If any of measurements are less than lowest or higher than highest then you must talk to doctor. Also please note that, there are 3 different graphs to follow. Baby’s birth weight and height decides which one he will likely to follow. my child is going to complete 15 years next month and his height is 165.5 and weight is 52.4 . so these results are ok or not .what should be his height at his age . what should i do for his height increasement . what will be his height at the age of 18. what are the exercisesand food to eat for boosting his height. please mam/sir reply to my queries. Every child has different development stages and pace. The chart is just general reference. Most of kids specially boys have growth spurts around age 15 years only. Food and exercise have limited effects on the height. Please refer Dr. Vaman Khadilkar’s website. He approves the growth charts for kids in India. this is presented very nicely thanks a lot! Thanks Rishika. Such comments from parents mean a lot to me.